Matthew Wallace, a J.D./M.P.A. candidate (2019) and a second lieutenant in the U.S. Army, has been elected as the national law student at-large on the American Bar Association (ABA) Board of Governors. In this capacity, he will be responsible for advocating on behalf of the nation’s more than 120,000 law students during the 2018-2019 academic year. The online election took place from March 13-15. In his election platform statement, Wallace also addressed improving law student participation in the ABA and starting a campaign to reach out to communities that could potentially provide a pool of law students, and eventually attorneys, dedicated to public service. A native of San Francisco, Wallace earned an undergraduate degree from the University of Washington, Seattle, where he enrolled in the Army Reserve Officer Training Corps. Wallace was commissioned as a second lieutenant upon graduating in June 2016. Before beginning law school, Wallace worked as part of a joint force operations and international law team at the Pentagon. At the College of Law, Wallace is executive vice president-elect of the Student Bar Association, and he was the cass vice president in his first year. 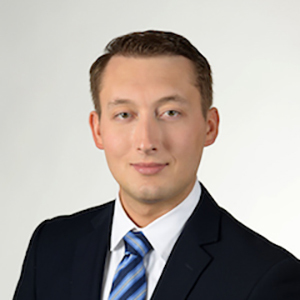 Wallace also has worked as a student attorney for the college’s Wohl Family Veteran’s Legal Clinic and has interned at the JetBlue Airways Legal Department, a position in line with his passion for the aerospace industry, as is his membership in the ABA Air and Space Forum.